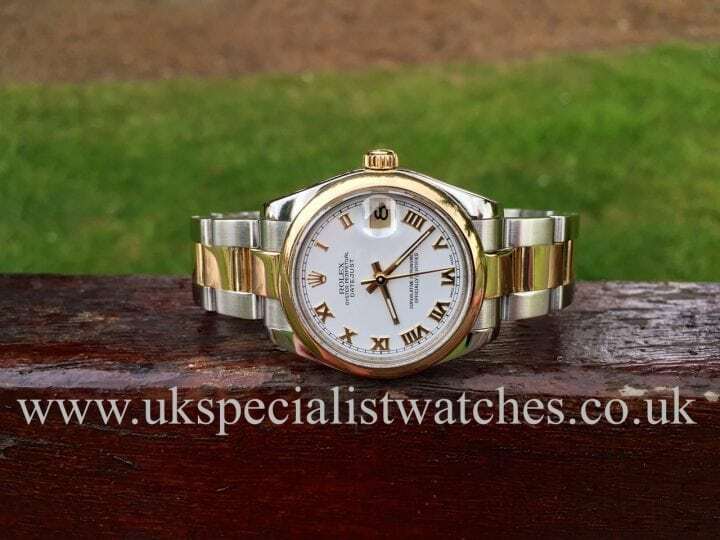 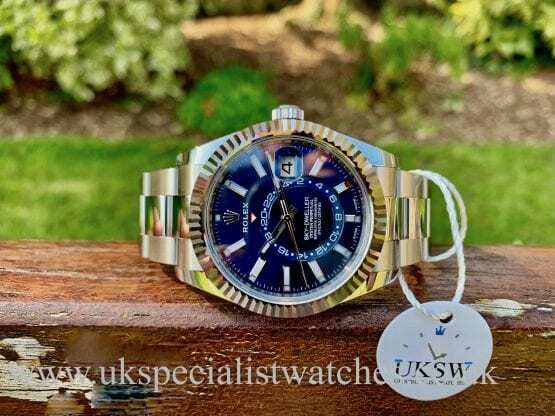 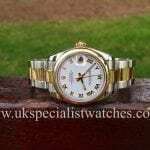 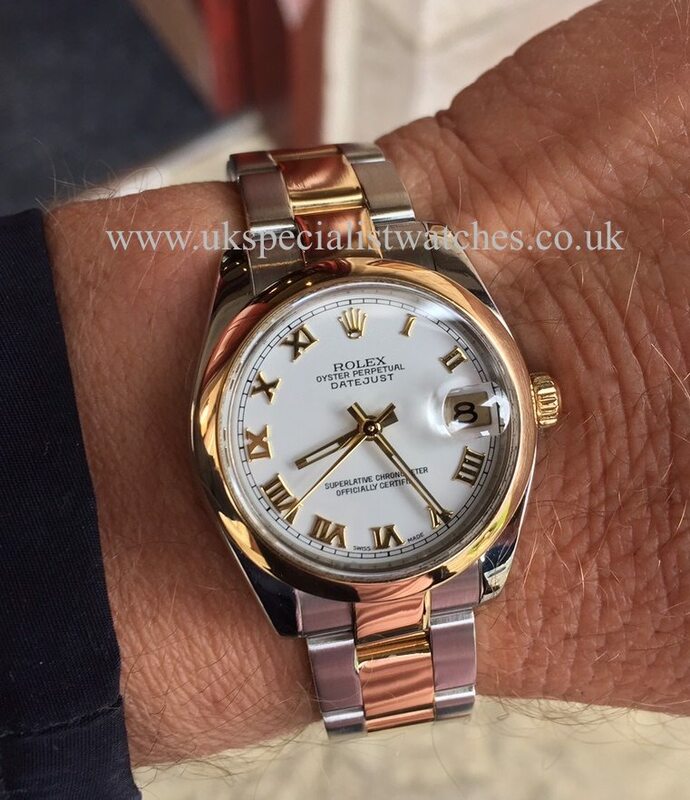 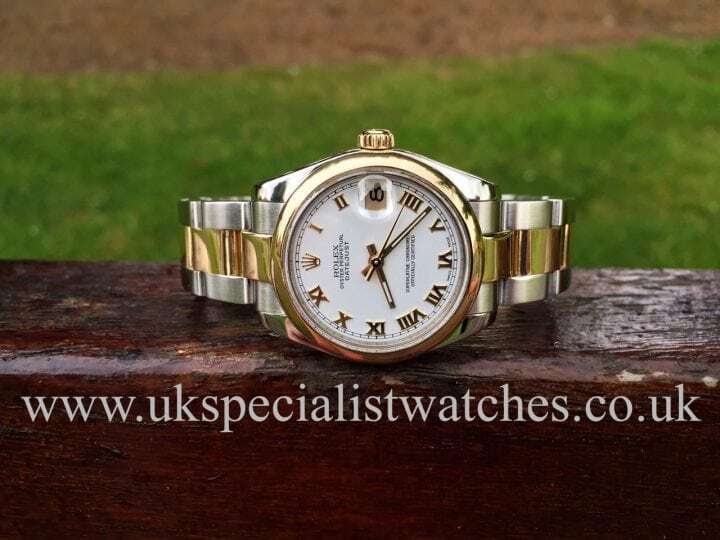 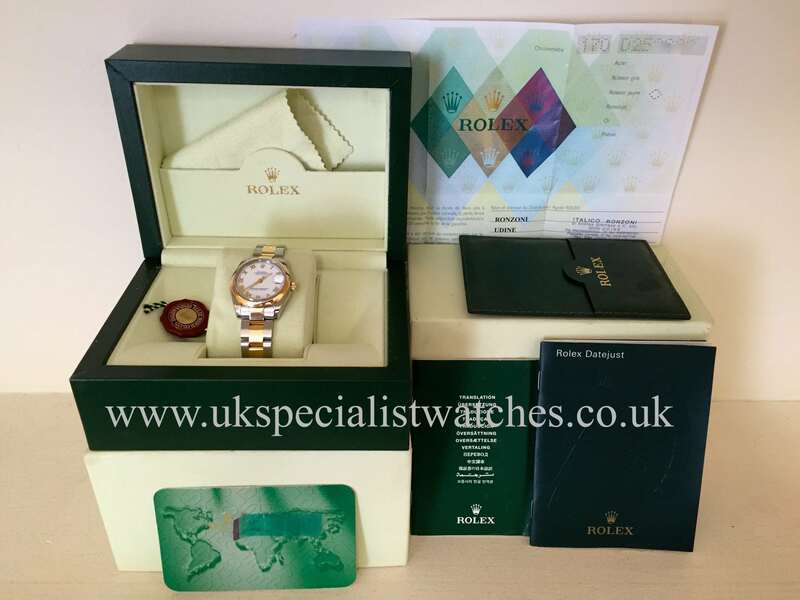 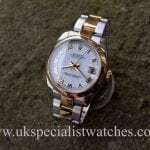 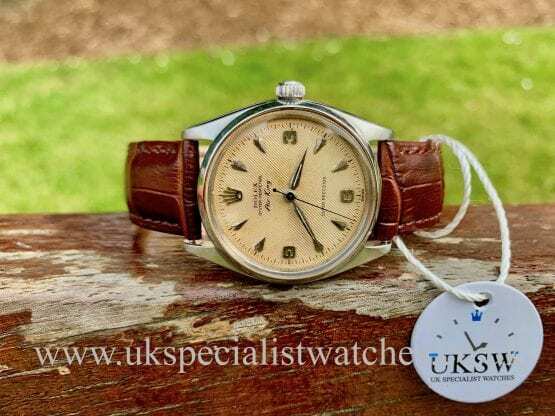 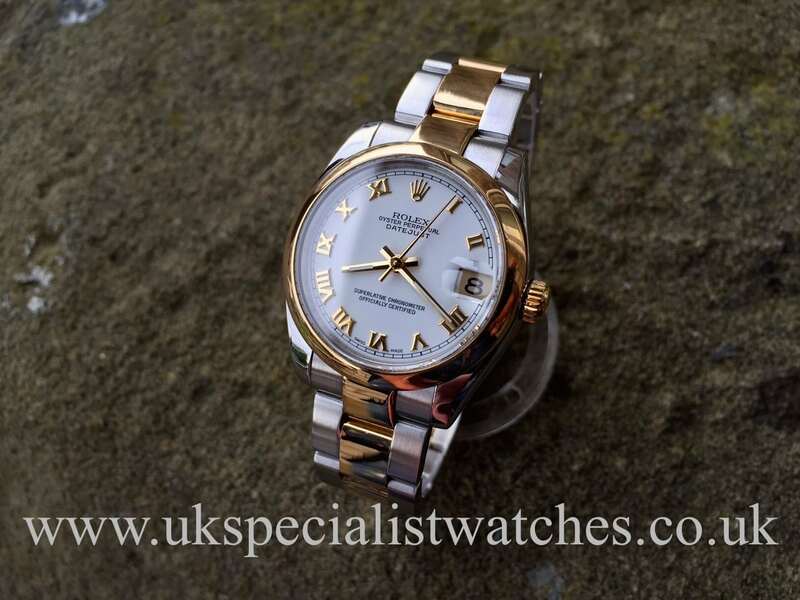 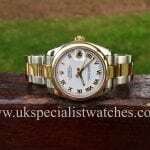 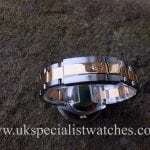 This is the latest model Rolex mid size Date just with the larger 31mm case. 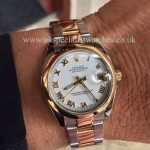 Crisp White dial with Gold Roman numeral hour markers complemented with a 18ct Gold smooth bezel, fitted with the sportier Oyster bracelet with double folding clasp. 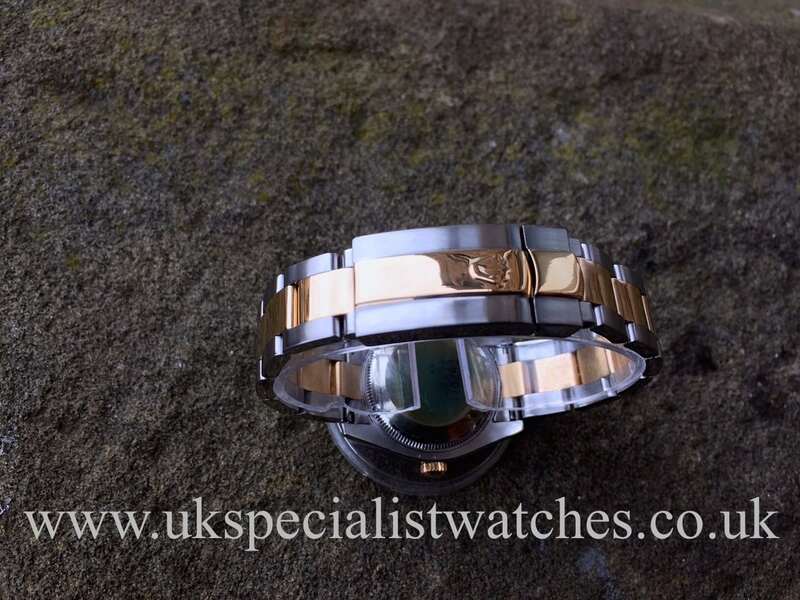 Sapphire crystal glass, water resistant to 100m, this is the perfect size for those ladies that prefer that more modern look. 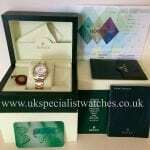 Supplied new April 2007 and comes complete with all boxes and papers, booklets, swing tag etc.